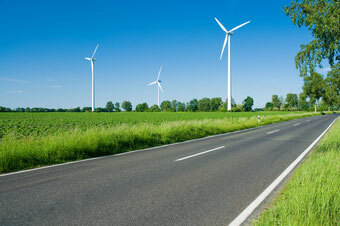 Electric vehicles, whether battery- or hydrogen-powered, generate no local emissions. They emit neither CO2, which is harmful for the climate, nor nitrogen oxides (NOx), which have been proven to be harmful to human health, or indeed any real noise. While inside the fiery heart of the sun and in the further reaches of the universe there is an abundance of pure hydrogen, on Earth hydrogen is only found in chemical compounds. 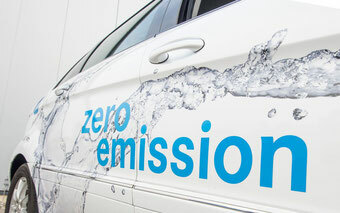 Fuel cell electric vehicles effectively reverse the process of electrolysis: the fuel cell uses hydrogen and oxygen to generate electric power. The by-products are heat, which can be used to heat the vehicle during the cold season, and chemically pure water, which is the only “exhaust product”. 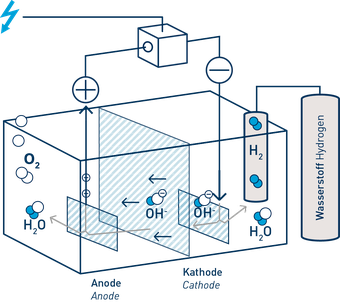 Hydrogen is the lightest element we know. 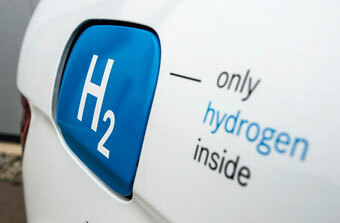 At the same time it has an extremely high energy density: one kilogramme of hydrogen contains about three times as much energy as one kilogramme of oil.